Through its seclusion and well-built privacy, Villa Dei Tramonti is absolutely perfect for the Southern Californian elite. The luxury home could easily accommodate up to 200 people on the terraces that cascade down to the tranquil beach. Its interior dining area could serve as a more intimate gathering area that can accommodate 16 guests. 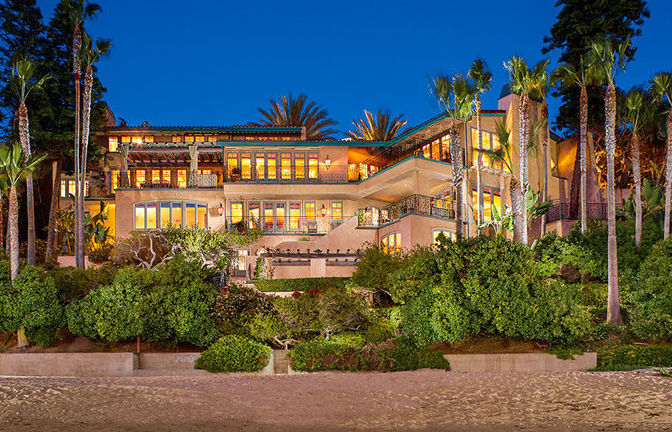 The rich and wealthy keep raising the bar for a shot at living near Orange County’s luxurious golden shore, often in huge spacious mansions with indoor gyms, home theatres and bowling alleys, with fine materials like marble and gold and architecture compared to great palaces and museums. California luxury home designer, Marmol Radziner, has a new luxury home masterpiece and it’s up for sale for $6.5 million. The 4,775 sq.ft. luxury home design incorporates glass and was completed in June. 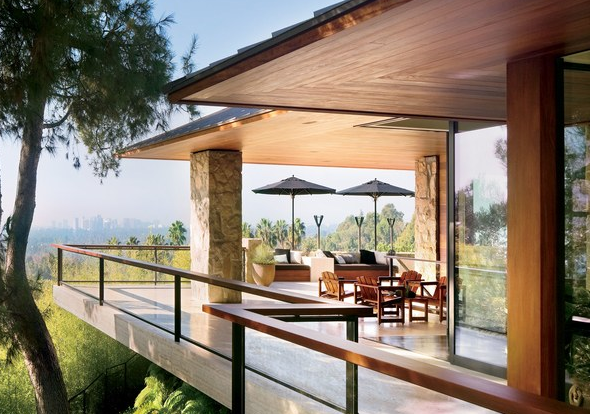 Marmol Radziner is an award-winning architectural design firm which designs luxury homes. It’s been prized by the likes of Tom Ford, Ashton Kutcher, Demi Moore, Trina Turk and James Perse. 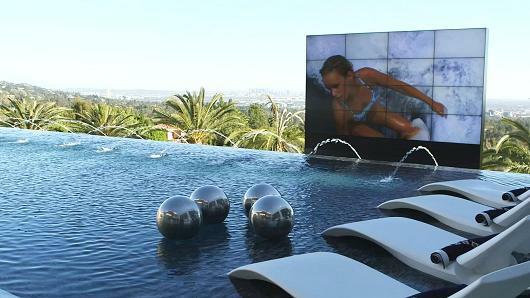 This Los Angeles home has all the essentials of a mega-mansion. 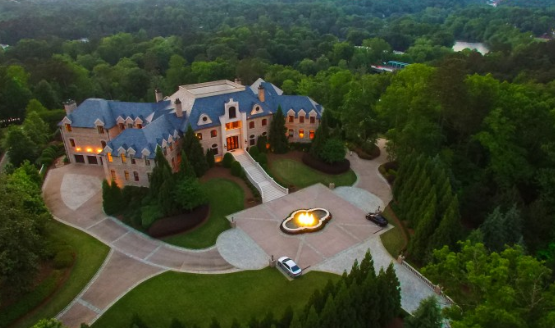 It has a 38,000 sq. ft. floor area, twelve bedrooms, 21 baths, 3 kitchens, a has its own movie theater that can accommodate 40 people. It also has an infinity pool with a pool bar and beautiful overlooking views from downtown to the ocean. 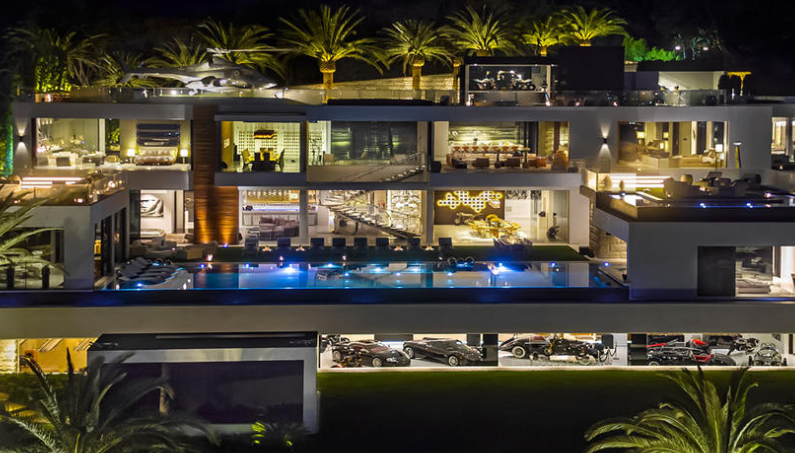 The ultra-rich home developer, Bruce Makowsky, who built the mega luxury home and is betting a lot of money on finding a buyer, said that he wanted to build more than just a usual luxury home. He wanted to build a “curated lifestyle” and a unique experience that would appeal to a new breed of global billionaires. The luxurious penthouses, mansions, and vacation homes of the world’s top celebrities feature amenities that raise the bar in opulence. 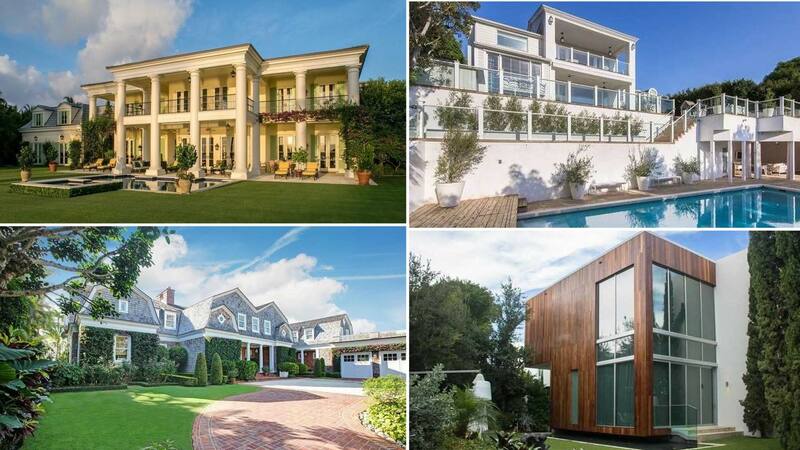 Whether it is an indoor basketball court, an indoor swimming pool, or a private Starbucks coffee bar, there’s no doubt that these luxury homes of celebrities represent the lives of the rich elite. When you are earning a lot of money, you will definitely invest your earnings in something that is luxurious and expensive. This is exactly what celebrities do with their money. They spend their cash by building lavish homes, filled with luxurious facilities. With their fame and success, celebrities have managed to build their own majestic place to live in. http://www.diditangroup.com (818) 784-5557 Custom Home Builders – Diditan Luxury Home Builders in Sherman Oaks. Checkout this 5 Star Review by Moshe A. It is with great confidence that we put forward this recommendation of Diditan Builders, Inc. and their construction design department. As they were referred to us by several friends and family members because of their efficiency, professionalism, integrity and commitment to their clients. We were not disappointed. Diditan Builders has a tremendous commitment and understanding of cohesive quality and design in the construction process. Their problem-solving abilities to deal with budget restraints while keeping to the financial, functional and aesthetic elements are second to none. Diditan Builders are a rare jewel in the real estate industry. The Diditan Group constructs custom homes and multi-unit properties in Miracle Mile, Sherman Oaks, Studio City, Encino, North Hollywood, Palm Springs and Greater Los Angeles area. http://www.diditangroup.com (818) 784-5557 Custom Home Builders – Diditan Luxury Home Builders in Sherman Oaks, CA. Checkout this 5 Star Review by Yulia K.
I am the owner of Euro Interior and I have worked with the Diditan Group on several projects. Diditan Builders are one of our best customers. Arie Abekasis is a magnificent project manager with an extraordinary talent to complete even the most difficult project. He manages each project as if he was constructing his own home, thus he selects only the best quality materials. It’s a pleasure to work with Diditan Luxury Home Builders. Checkout this 5 Star Review by Doron M.
For a real estate novice like myself, Diditan Builders and Arie Abekasis were a blessing. Mr. Abekasis expertise, creativity, extraordinary service and straightforward approach made every transaction smooth and productive. Today’s current and futuristic homes boasts eco-friendly engineering, smartphone-controlled home systems and stunning designs. However, some home architects, engineers and designers go even much further when it comes to technology and futuristic luxury home designs and concepts. Futuristic architecture is the latest trend in architecture. The term futuristic architecture is applied to various styles and designs of the modern luxury home. Check out these futuristic homes. 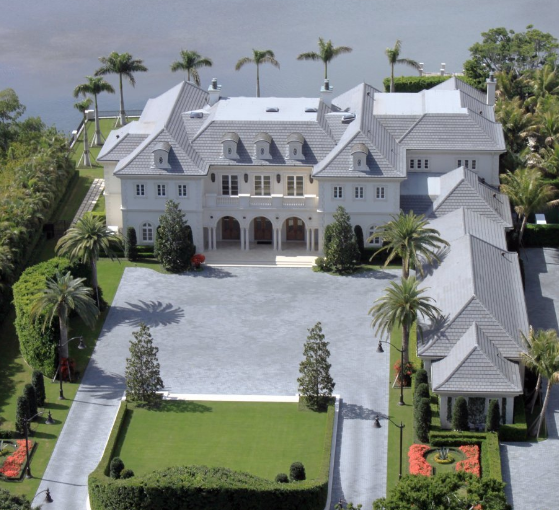 Today, Palm Beach is at the focal point of the current luxury real estate market and two of the most expensive luxury homes are on the same road. So dock your yacht and go along with us through today’s most costly luxury real estate in Palm Beach. Palm Beach is an island of ritz, fabulousness, and beautiful design going back decades. The individuals who adore history will be satisfied with two of Palm Beach’s most expensive luxury homes that were built during the 1920s. 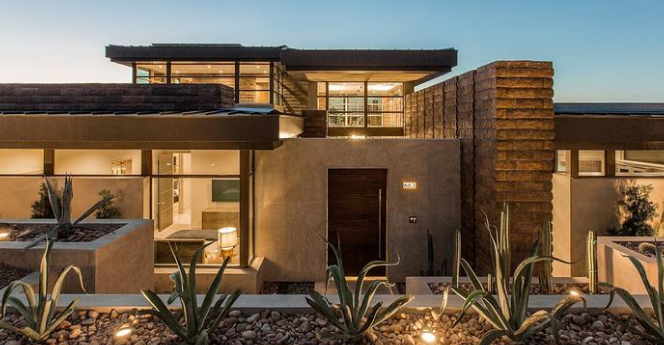 Former Los Angeles Lakers’ point guard, Jordan Farmar has put his sleek and luxury home in the Las Vegas for $3.9 million. The 6,185 sq.ft. trendy luxury home is also a LEED Platinum award winner for its energy-efficient construction. 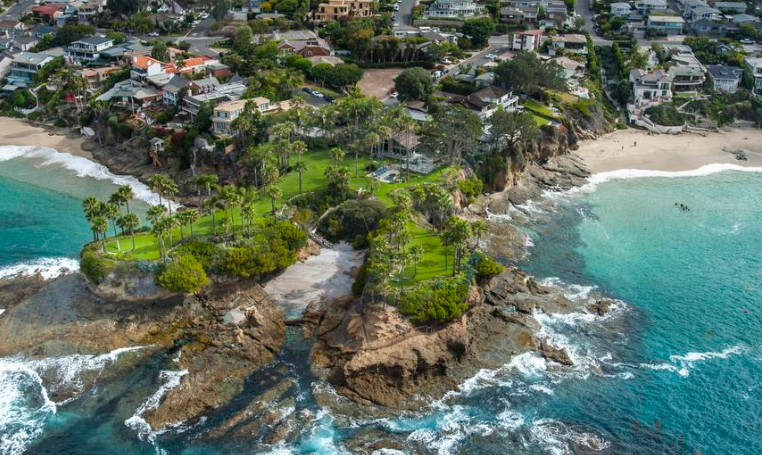 Last year he also sold his beautiful Spanish-style luxury home in Tarzana for $3.495 million. Now he is adding his Las Vegas luxury home in his real estate portfolio.